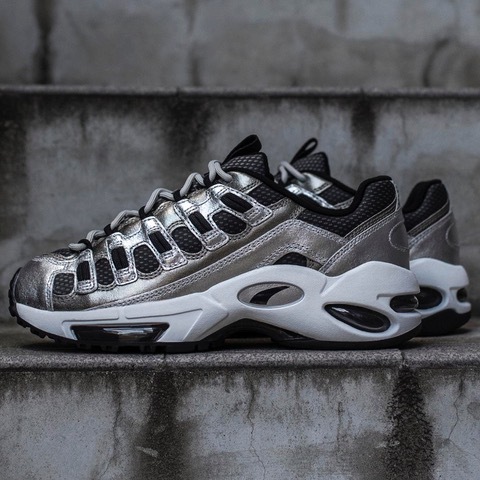 Los Angeles boutique BLENDS has teamed up with PUMA on a special edition version of the German sportswear giant’s rebooted CELL Endura sneaker. 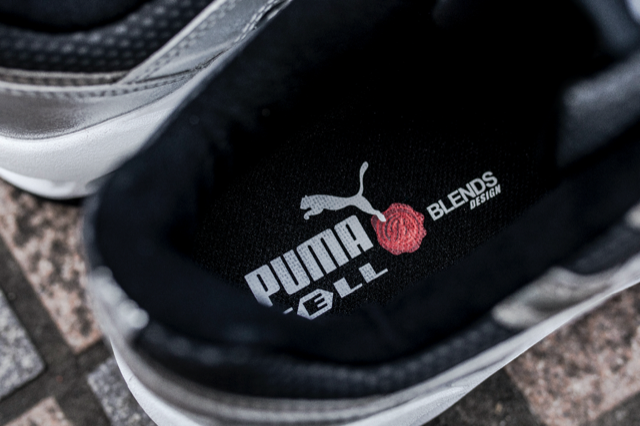 The silhouette was relaunched in September last year and is part of PUMA’s push to reintroduce a number of iconic designs from its archives. 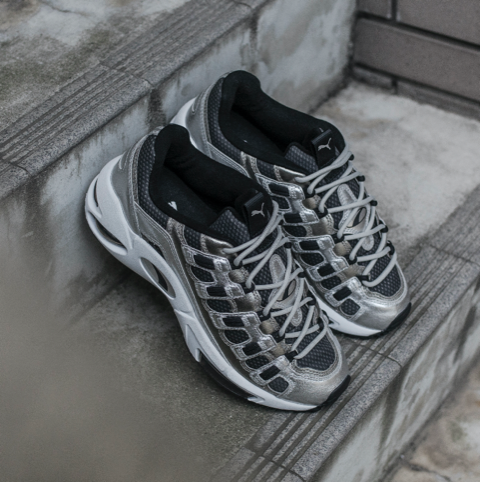 BLENDS has opted for a futuristic design for this collaboration, decking out the sneaker in metallic silver leather overlays. 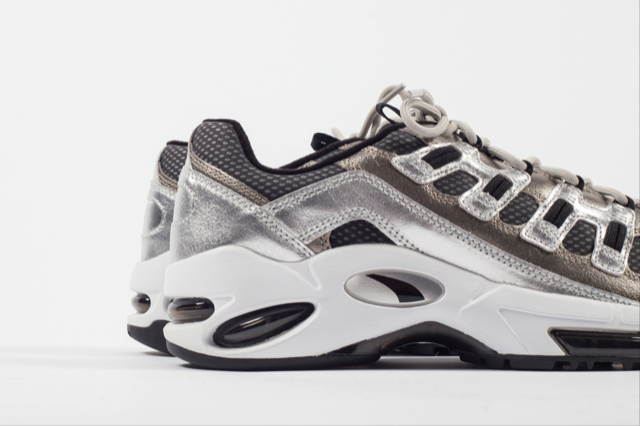 The rest of the sneaker is kept simple in black and white, meaning the design is eye-catching without being overly so.